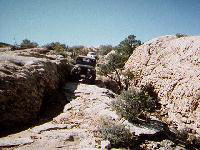 This trail starts and finishes South of Blanding, Utah in the vicinity of Comb Ridge, South of the Abajo Mountains. 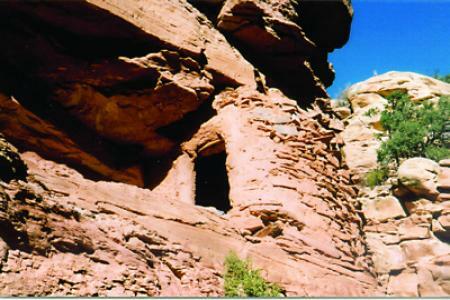 Hotel Rock is located on Little Baullie Mesa. 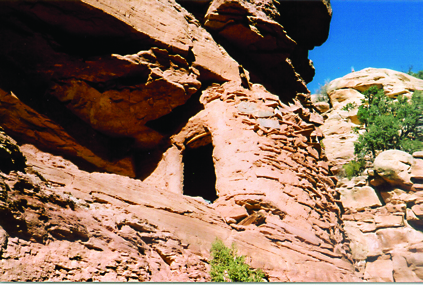 The trail is about 14 miles round trip that includes steep rock climbs, narrow dirt and rock surfaces including some sandy wash area and a nice overlook of Arch Canyon. 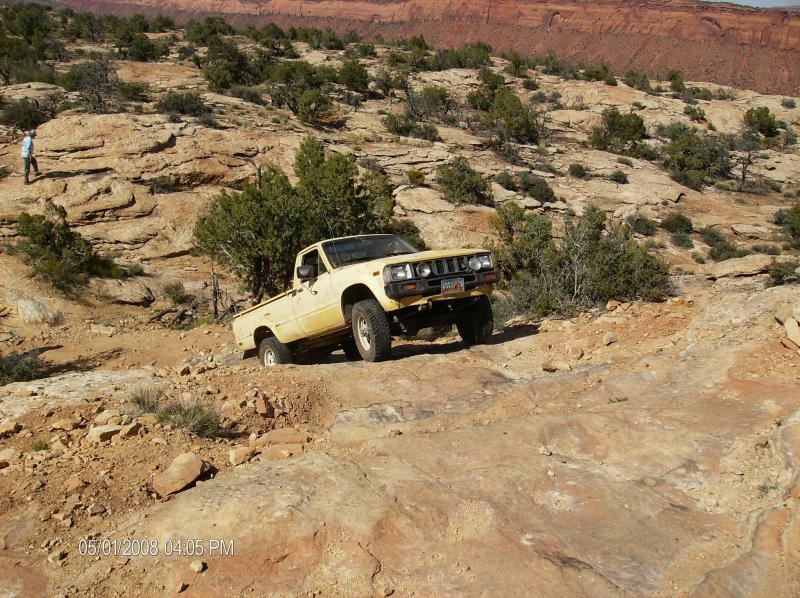 Special considerations: Because the trailhead is about 90 miles south of Moab your vehicle must be capable of maintaining 55 mph over that distance. a fuel stop will be required. Usually a stop is made at Shirttail Junction at the intersection and US191 and Utah Highway 95 south of Blanding. 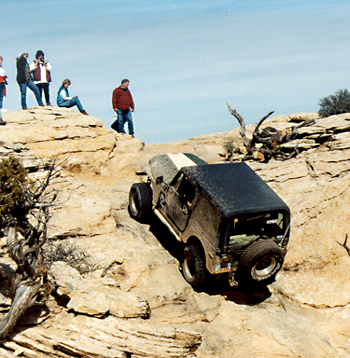 Scenery starts the moment you leave Moab. It varies from desert views to mountain scenery as one approaches Monticello. It gradually returns to desert scenery at Blanding. Comb Ridge is very visible from Utah 95 as the trailhead nears. 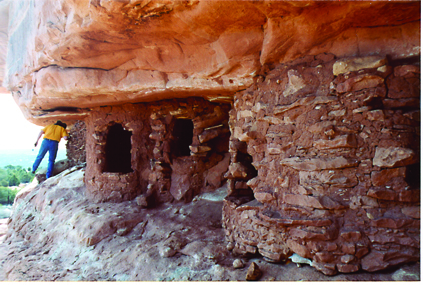 Hotel Rock is a very intact old Anasazi lookout. Hotel Rock is the highlight of the trip, but there are so many other exciting things to the day. The entire road trip is an experience, and the 4 wheeling is guaranteed to keep everyone's interest as well.